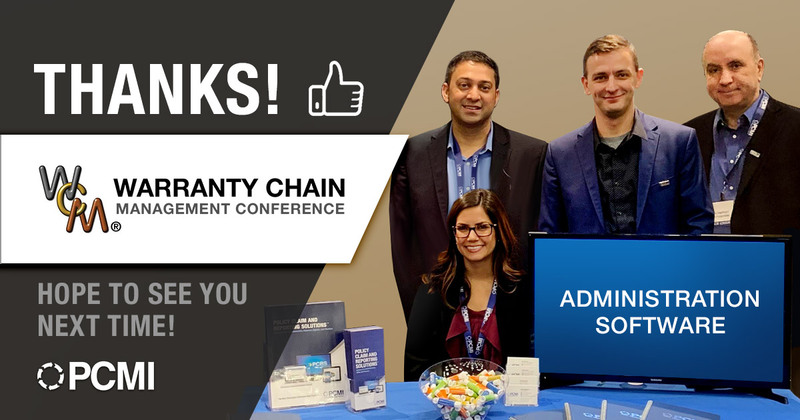 T he PCMI team attended the Warranty Chain Management Conference in Orlando, FL, last month and had the opportunity to be a sponsor for the sixth year in a row. Excited about being a repeat appearance and having a booth at the show, we brought five employees to represent our company and to present our exhibit: President & CEO – Mark Nagelvoort, COO – Greg Kasprzycki, Marketing Manager – Laura Kotz, Business Development Manager – Sean Mangan, and Director of Client Engagements – Manoj Patel. 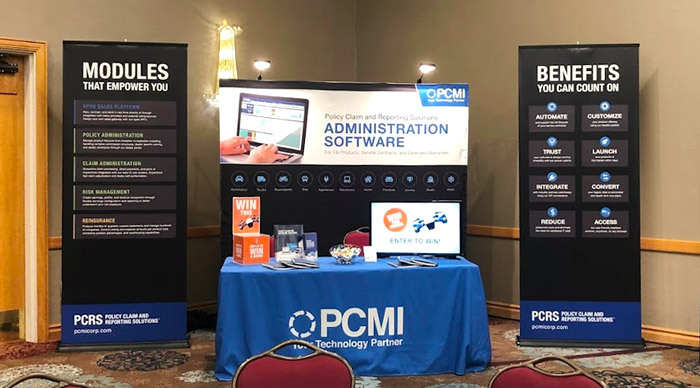 The team had a blast networking with industry peers and demonstrating the benefits of PCMI’s PCRS administration platform. We had a lot of great conversations about the importance of a reliable and stable software application, how critical it is to be able to connect with partners and vendors, and why automating the lifecycle of all F&I products, service contracts, and extended warranties is imperative to keep up in the ever-evolving industry. 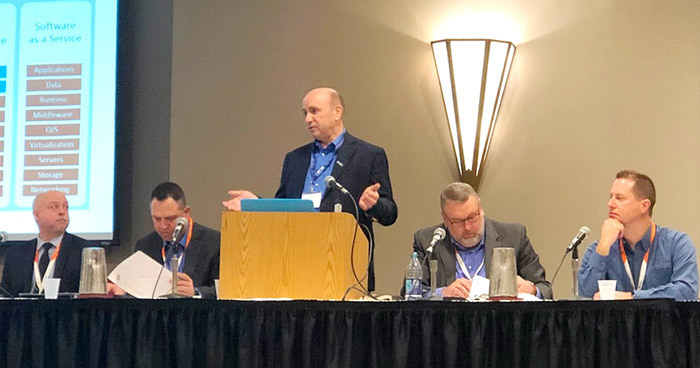 Our President & CEO, Mark Nagelvoort, led the popular panel “What’s New in The Automation of Service Contracts” alongside industry experts Sean Hicks (New Leaf Service Contracts), Guy Koenig (GSFS), Rick Tudor (CARS Protection Plus), and Garen McMillian (SideCars, Inc.). The panel covered a wide range of topics such as self-service websites, mobile customer interfaces, claims automation, and personal experiences about how technology has helped their business in the auto and consumer sectors. Mark enjoyed sharing his knowledge and expertise with the conference attendees, especially since he has dedicated his whole career to this industry and developing the PCRS administration software system. Due to its popularity in the past, PCMI once again raffled off an awesome new DJI Mini Spark Drone. The sleek machine sports some impressive features, such as max air speed of 50 km/h and a top-quality camera. 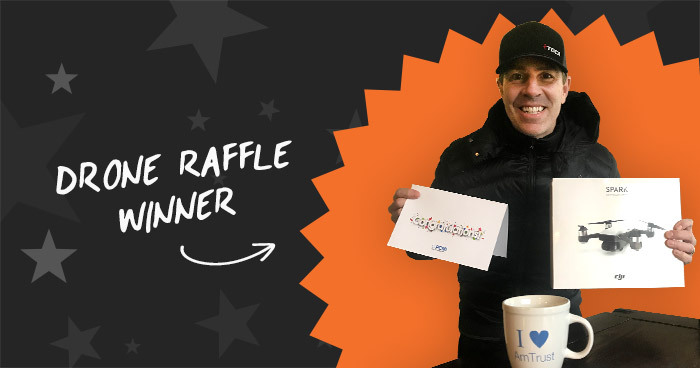 Attendees were eager for a chance to win the grand prize, and throughout the conference, hundreds of attendees dropped their business cards into our raffle box. The week after the closing of WCM, the lucky winner was chosen, and the owner of the new drone is Sean Van Norman from AmTrust North America. Congrats, Sean! All the team members who attended the WCM 2019 had an excellent experience. We loved the opportunity to network with industry peers and we’re already looking forward to attending WCM’s show again next year. In case you weren’t at the show but you’re still interested in seeing what PCRS has to offer, request a demo below.